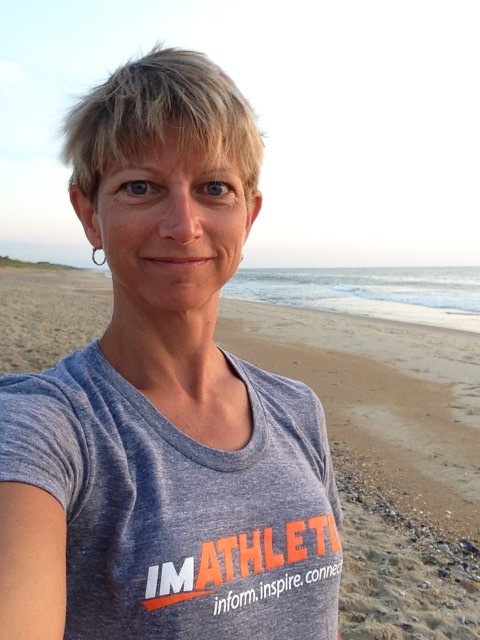 Thank you to Running USA for featuring imATHLETE on their blog. We've archived it here, but you can find the original here! Talking with imATHLETE CEO Jeff Matlow is a lot like drinking from a fire hose. Even if you’re a veteran of the running industry, you’re going to learn a whole lot about the state of the business in a very short time. We’d been bugging Matlow to give us a download on what’s happening in the registration space, why his company is partnering with fundraising platforms, declining participation numbers and more for awhile. One recent weekend morning at 5am, he got enough time in his schedule to answer our questions. If you don’t know Jeff, he’s an athlete, entrepreneur and family man who founded the Santa Monica-based registration platform imATHLETE back in 2008. Over the last decade, the company has moved from focusing on triathlon to working with a number of major races in the running industry. Never afraid to experiment, Matlow has set up a number of creative partnerships with other platforms, and he reveals in this interview that he’s also working on the acquisition of several smaller registration companies. "You’re going to see a fair amount of consolidation happening in this industry very quickly," Matlow said candidly. "We’ve already acquired two registration companies and, as of this writing, have four others in the pipeline. You’ll also see some other companies go out of business." You can hear more from Matlow in Austin at his Running USA 2018 Idea Lab titled “The Future Is Now: How the industry is changing and why you should care.” Study up first and read on, you can get some initial insight on that right here. RUSA: Just to give readers a little background, where did the idea of imATHLETE come from and what's been the evolution of the company over the past few years? Matlow: They say every great idea starts with a crime. We’re no different. I could give you the real background of imATHLETE, but then I’d have to kill you. Combining the commerce of participatory sports (registration, e-commerce, charitable fundraising, etc.) with the social/community behavior that is inherent in athletics. We started off in triathlon, primarily because we were able to quickly solve a problem that helped athletes, event directors and USA Triathlon (we created online membership sales and validation). Before I could blink, we were one of the top two triathlon registration companies around. We then focused on running and, in general, on big events. We’ve been very successful there as well, working with amazing events/companies like the Detroit Free Press/Chemical Bank Marathon, OneAmerica 500 Festival Indy Mini-Marathon, Cooper River Bridge Run, BMO Vancouver Marathon, Bike New York, Gasparilla Distance Classic, Christie Clinic Illinois Marathon, Skechers Performance Los Angeles Marathon, Cherry Blossom (merchandise) and thousands of others. RUSA: You announced a partnership with JustGiving last year. How did that partnership come about and what does it mean for race organizers who use your platform? Matlow: We always want to offer best-in-class products, whether it is registration, e-commerce, charitable fundraising, volunteer management and more. Though we have our own proprietary charitable giving platform, the industry continues to mature rapidly. We launched a partnership with Crowdrise in 2016 and that remains a positive relationship. When JustGiving decided to launch in the US, they approached us and we quickly realized a shared philosophy around continued innovation and creating unique experiences to inspire people. Teaming up with JustGiving lets us offer event directors a way to engage more runners and offer a fundraising journey that is not only fun, but generates more money for charities. We now can reach more people and increasingly enhance the relationship between event organizers and their participants. In the coming months you’ll see deeper and deeper integration of our two platforms, creating seamless processes for our mutual clientele - and stay tuned for some very exciting announcements about how we’re expanding the relationship. RUSA: You spend a lot of time talking to race directors and working with some of the biggest races in the country. How have your discussions evolved over the past 12-18 months? As I say incessantly, events don’t really need more participants… they need more money. Getting more participants is a way to generate more money - but it is not the only way. That’s why imATHLETE offers so many different channels for event organizers to generate more revenue. With our pricing strategy, we’ve had some race organizers increase their revenue year over year without any increase in entry fees - even though they saw a decrease in participants. RUSA: Obviously you live registration on a daily basis. What's one trend in the registration space all race directors should be aware of? Matlow: The easy answer for this is to say that all race directors need to be doing better data analysis. That is definitely a fact, but there is a bigger shift happening in the registration space right now. Basically, it’s Darwinism. Survival of the fittest. This is an extremely low margin business and only a small handful of registration companies have the volume to generate enough revenue to keep innovating. The others won’t be able to survive in the long term. You’re going to see a fair amount of consolidation happening in this industry very quickly (we’ve already acquired two registration companies and, as of this writing, have four others in the pipeline). You’ll also see some other companies go out of business. Race Directors sometimes think that they need to offer the lowest service fee and, hence, they search for the registration company that charges the least. But there’s a reason companies promote a low service fee - because they can’t compete in other arenas. If a company can’t make money, reducing their fee isn’t going to help make more money. So my advice to race directors is to make sure that the company you’re working with has top quality clients and a well-respected name - because if you’re just trying to get the cheapest price, you’re putting you and your business at risk. RUSA: Data is another big piece registration companies are helping race directors with. If there was one data point race directors should focus time on, what would you say that should be? Athletes will spend more money when they feel special. You already know who they are and you have the data to make them feel special. RUSA: You have done some research on runners and traveling to races. Was there anything that surprised you when you were looking at the stats? Matlow: We launched our imATHLETE Data Insight Series last month. We have been conducting ongoing athlete surveys for over a year and have over 300,000 athlete responses, which of course gives us amazing insight into the minds and habits of athletes. The first in the series was around how far runners will travel to races. The most surprising thing we found - but the one that makes the most sense - is that athletes are far less likely to run a half marathon if it is more than 60 miles but less than 180 miles away from them. The reasoning is that it’s too far for a day trip, but too close for a vacation. So all those half-marathon race directors out there who are targeting runners between 60 - 180 miles away, you are wasting your money. You’re better off spending your money targeting locals (<45 miles away) and travelers (180-240 miles). RUSA: What do you feel sets imATHLETE apart from other registration platforms? Product: We continue to innovate in ways that are focused on helping our clients generate new revenue and grow their businesses. There are some exciting announcements we have coming up in the next weeks and months, so stay tuned! Marketing: The industry isn’t the same as it was three years ago, so race directors can’t do the same things now and expect the same results. 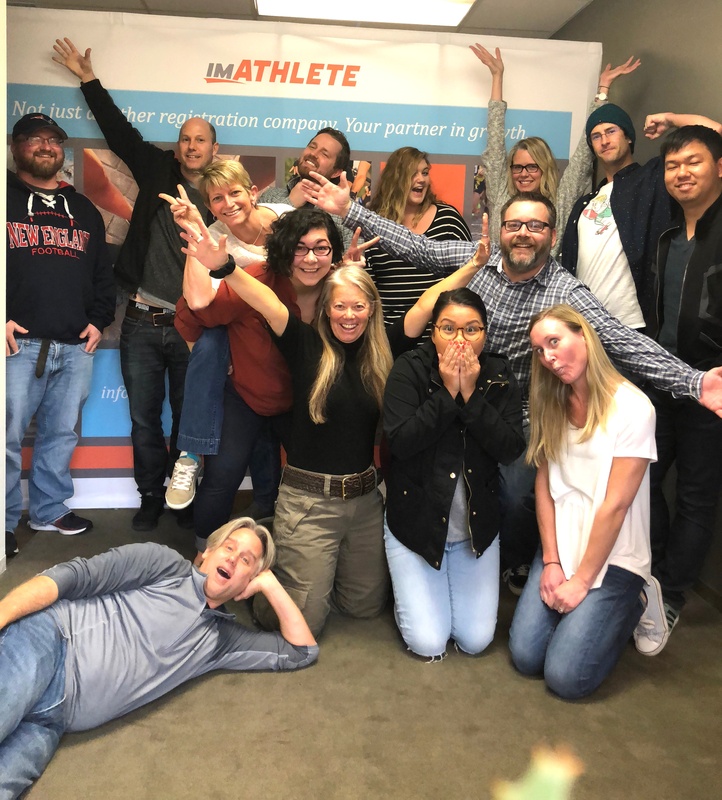 imATHLETE has focused on new products and partnerships that revise the traditional model of marketing and help race directors advance their business and generate more revenue. Service: We are not simply a registration vendor but a technology partner to race directors. Because of all the organizations we work with, and the millions of athletes that come through our system, we have a significant amount of knowledge of best practices and emerging trends. This isn’t just related to registration, but also marketing, operations, sponsorship and more. We strive to be part of our clients’ strategic team, helping provide feedback and guidance on opportunities and trends. RUSA: What's on tap for imATHLETE in 2018? Matlow: So many things. We already finalized registration relationships with a few new marquee clients, including Hood to Coast. Those will be announced shortly and are all super exciting. We are also launching a new platform/mobile app that is focused on aggregating the complex community and athletic behavior of athleticism. The feedback for this has been beyond incredible from event companies, athletic retailers, running clubs and coaches. We have no doubts we can provide significant benefits - and new revenue - for every event in the industry as well as their sponsors and athletes. Oh, and we’ve got some very powerful patents on it too. In the meantime, we are in the process of finalizing a few different acquisitions, all of which expand our reach and our offering. And, to top it all off, we just reevaluated our culture document, which is an important element towards the continuing success of our company, our employees and our clients. It’s culture that defines a company and everything it does. And this is us.